Is fear of failure holding you back? I wrote you this great newsletter about Adele's public fail at the Grammy's this week as an example of how failing is part of being a rebel. And then wouldn't you know it, the universe delivered my own public fail to share. Here you go. Up close and personal. I see it all the time. Maybe you don't say what you really think for fear of looking stupid. Or you fear changing careers because it's too late. Or you don't do the thing (publish a blog, ask someone to be your mentor) for fear of falling on your face publicly. For me that fear is technology - that my newsletter system will send something that isn't finished or that I won't understand an app and will make a fool of myself in public. Just minutes ago, in the middle of the community call with my Rebel Leadership Group, the internet and the phone went down - like in my whole neighborhood down. The women on the other end of the web interface heard me drop off into space and on my end, crickets were chirping where there had been a lively conversation. Ugh. My worst fear was coming true - public tech issues with no way to reach out for support. 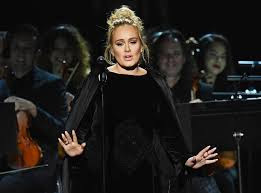 Then I kicked into recovery mode, figured out solutions to complete the call, and realized that all the lessons I shared with you about Adele's failure, were lessons for me, too. Did the Grammys stop? Nope. Did the world end? Nope. Did the women in my group lose faith in me because the internet didn't work for 10 minutes? Nope. Failure connects us deeply. Every artist in the Grammy theater has failed in front of a stadium full of people. The people in my Rebel Leadership Group face failures at work. We don't wish public failure on others, and it connects us as humans when it happens. When you put yourself out there in a big way, you will fail. It's part of the deal when you choose to play the life game. My work requires technology and vulnerability. There will be failure. Something is more important than the failure. For Adele, that was her tribute to George Michael. For me, it is supporting the changes and commitments the people in my coaching group are experiencing. Your important commitment helps you move quickly from failure to recovery to learning. The bigger fear is NOT doing the thing. Over time people are more sorry when they don't do the thing than when they do the thing and fail. 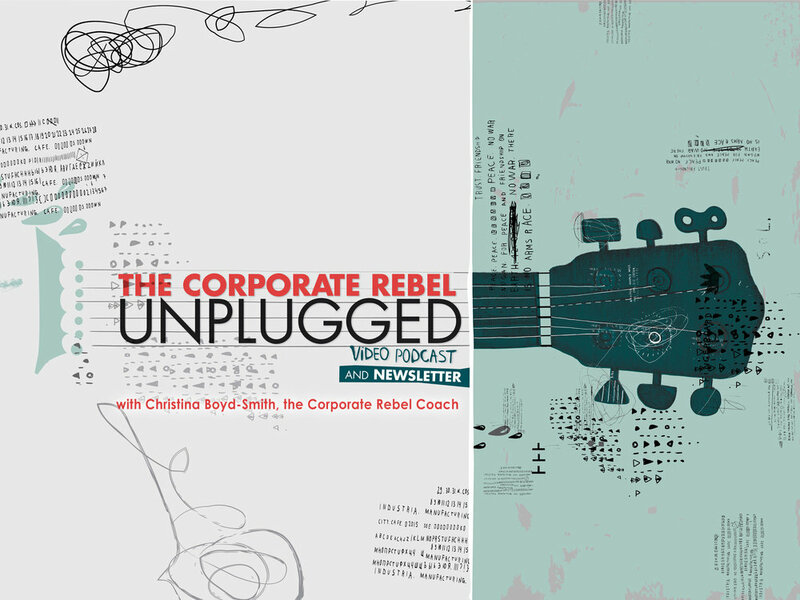 To be a Corporate Rebel, you are about taking risks and putting yourself out there. What if you never ask for a mentor? Or go for that new project? Or say no to things that suk your time and energy. What's lost by letting fear drive is greater than anything gained by staying safe. Your graceful and public acceptance of your own failures gives others latitude to take risks. Witnessing someone else's failure and recovery is a huge relief. It promotes innovation, risk-taking, experimentation and growth. Whew. I hope this is helpful. Ahhhh….failure. Then email me at christina@boydsmithcoaching.com and tell me all about a failure of yours! I love to hear from you! Want more great content to create work and life on your terms? Ready for a weekly dose of encouragement and practical things you can do to reclaim your freedom and put work back on your terms? Yes! I Want Success On My Terms! Apr 4, 2019 This Is What Easy Looks Like! Mar 28, 2019 You Already Get It! Mar 14, 2019 Got a Secret Dream? Feb 28, 2019 Struggle vs. Ease... Which Do You Choose? Feb 14, 2019 For All the Men. A Tough Love Note on Valentine's Day. Feb 7, 2019 Sparking Joy - Why Does It Matter? Jan 31, 2019 What's the Secret to Big Change? Jan 24, 2019 Process Versus Outcome. Which Is It? Jan 17, 2019 Are You Headed to Where You Want to Go? Jan 3, 2019 What's Your Plan for 2019? Dec 20, 2018 It's Christmas! What's Your Heart's Desire? Dec 13, 2018 Christmas Magic. It's Not Just for Christmas Anymore! Nov 29, 2018 Want to Feel Like a Kid at Christmas? Nov 15, 2018 Can Money Buy You Happiness? Nov 1, 2018 Want to Make Powerful Decisions? Follow These 3 Steps. Oct 11, 2018 Are You Distracted? Sep 27, 2018 Can You Be Powerful When Things are Out of Control? Sep 6, 2018 What Makes You a Corporate Rebel? Aug 30, 2018 5 Ways to Be an Awesome Newbie! Aug 23, 2018 You're the Best! Aug 9, 2018 What Would You Do If You Stopped Postponing Your Life? Aug 2, 2018 Have You Paid Too Much? Jul 19, 2018 I'm Going to Camp. Let's Write! May 31, 2018 Feeling "Meh" About Selling Yourself? May 24, 2018 Circumstances Don't Equal Happiness. Lessons From the Volcano. May 3, 2018 Are You Aligned With the Future You Want? Apr 12, 2018 Do You Wish For a Free Lunch? You Can Have It! Apr 5, 2018 Life Advice From Your Tribe! Mar 29, 2018 Do You Dread Bad News? Mar 15, 2018 Do You Hate It When People Tell You How You Feel? Mar 1, 2018 Do You Still Believe You Can Have It All? Feb 22, 2018 This Is For All the Overachievers! Feb 8, 2018 Want to Achieve the Impossible (Or At Least the Very Unlikely)? Feb 1, 2018 I'm so over stress and overwork. Are you? Jan 25, 2018 Do You Get In Your Own Way? Jan 11, 2018 Happy New Year! Insights from Kenya. Jan 4, 2018 What Do Rebels Wear at Work? Nov 16, 2017 Hungry to play a more strategic role at work? Nov 9, 2017 Are You Tired of Change? Do These 5 Things. Oct 26, 2017 Is your "mental load" crushing you? Sep 28, 2017 Will You Do Me a Quick Favor? Sep 21, 2017 It's the Worst. I've Been Lying to Myself. Aug 31, 2017 Summer is NOT Over Yet. What You Do With These Days Matters. Aug 24, 2017 Is a Lack of Clarity Getting You Down? You May Be Clearer Than You Think! Aug 22, 2017 Do You Worry About the Future? Jul 20, 2017 Does Your Life Feel Like a Run Away Train? Jun 8, 2017 I'm Pissed Off and Bewildered. What's In It For You? Feb 16, 2017 Is fear of failure holding you back? Feb 9, 2017 The secret to never getting stuck in your job! Jan 19, 2017 The #1 Strategy for Managing Stress. Yes, even YOU can do it! Jan 12, 2017 My ugly breakdown. Whoo, mama! Dec 22, 2016 We need a little Christmas (and Hanukkah and Kwanza and…)! Dec 15, 2016 Be the light in the darkness. I dare you! Dec 8, 2016 It's the quitting season! Dec 1, 2016 The 1 Thing That Will Make Your Work Instantly Easier! Nov 23, 2016 Want more freedom, gratitude + badassery in your life? Nov 17, 2016 Speeding toward the holidays? Stay on track with these productivity tips. Oct 31, 2016 The way you spend your day…. Oct 27, 2016 Is anxiety running you? There is a way out. Oct 24, 2016 Worried that you're in the wrong job? Maybe. Maybe not. Oct 6, 2016 Let your rebel flag fly AND succeed in a corporate job. In fact, it's vital! Aug 25, 2016 Something I rarely do! Aug 18, 2016 This newsletter is embarrassing. Jul 28, 2016 Who you are being matters! Jul 21, 2016 What's your excuse? Jul 14, 2016 What's the right response to everything that's happening? Jun 30, 2016 Who are your people? Jun 23, 2016 You are not fooling anyone! Jun 9, 2016 What to do when what you really want is a nap. Jun 2, 2016 A humbling look behind the scenes! May 12, 2016 Are you stressed? May 5, 2016 Peace! Now! And how to find it. Apr 28, 2016 What's your weird little process? Apr 21, 2016 You want to make more money. Consider this. Apr 7, 2016 Greetings from Costa Rica! Mar 24, 2016 Accepting accolades. It's hard. Here's how. Mar 17, 2016 Do you work for a boss or a leader? Mar 10, 2016 Mermaids and leadership. Two great things that go great together! Mar 3, 2016 Stressed out at the idea of "taking responsibility?" Read this. Feb 18, 2016 Do you choose work? Or life? Or both? Ack! Feb 11, 2016 You're running into obstacles. What do you do? Dec 24, 2015 Your Christmas Present Is In Here. No Peeking! Nov 12, 2015 If you haven't found your passion, you are NOT a failure. Nov 5, 2015 Own It Like It's YOUR Birthday! Oct 29, 2015 The "F" Word. What Do You Do With It? Oct 1, 2015 Oh No! We're Ending! Aug 20, 2015 What the H-E-Double Hockey Sticks Is Going On with August? Aug 6, 2015 Inspiration is Everywhere - Even In Your Backyard!